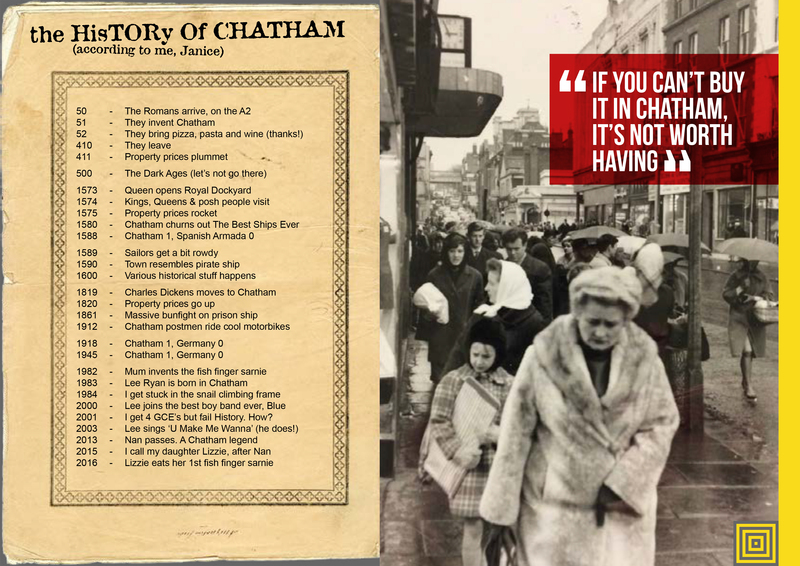 THESE ARE OUR STREETS Part Two…CHATHAM UP ! We have always planned to create a magazine or booklet…some form of printed publication or other, with which to celebrate and record our progress, our ideas, the stuff that got away…but mostly our collaboration with each other and with the people along our route. We may still be able to deliver this a a hard-copy paper publication at some point in the future, as a way or marking the project – or as an online event. 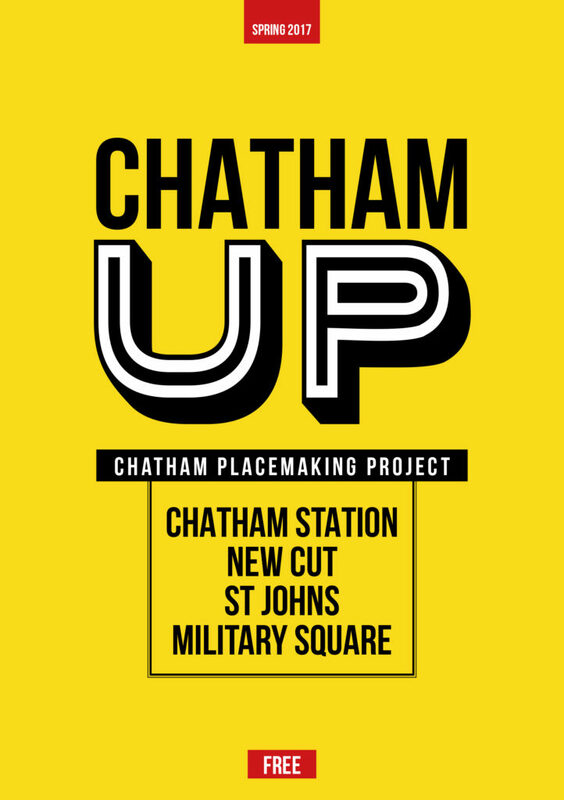 The following images will show you part of our journey to create the draft and concepts for the work you can now see embedded into the pavements of Railway Street and Military Square. 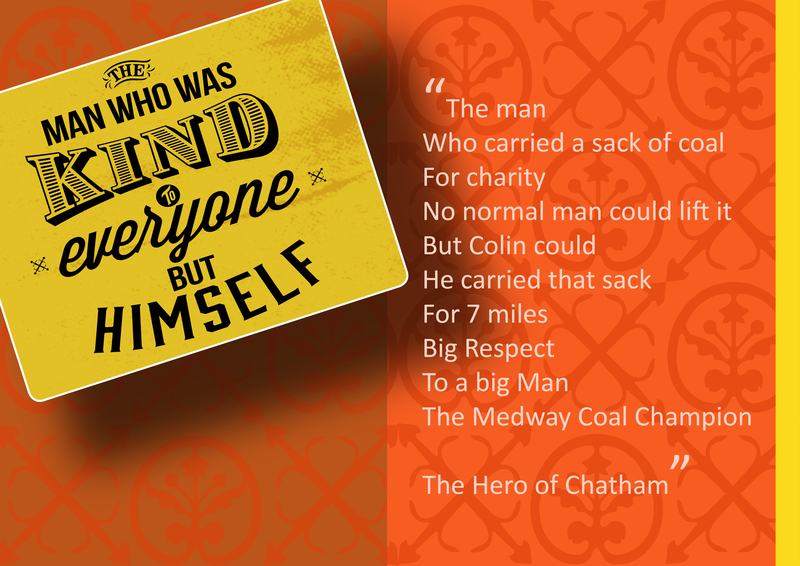 The content has been generated in collaboration with other artists and creatives, commissioned to deliver specific aspects of our work, but who directly and indirectly contributed so brilliantly to the outcome. FrancisKnight Public Art Consultants, Rob Young – Writer, Xtina Lamb – Printmaker, Simon Williams – Filmmaker & Paul Baker – Graphic Designer. 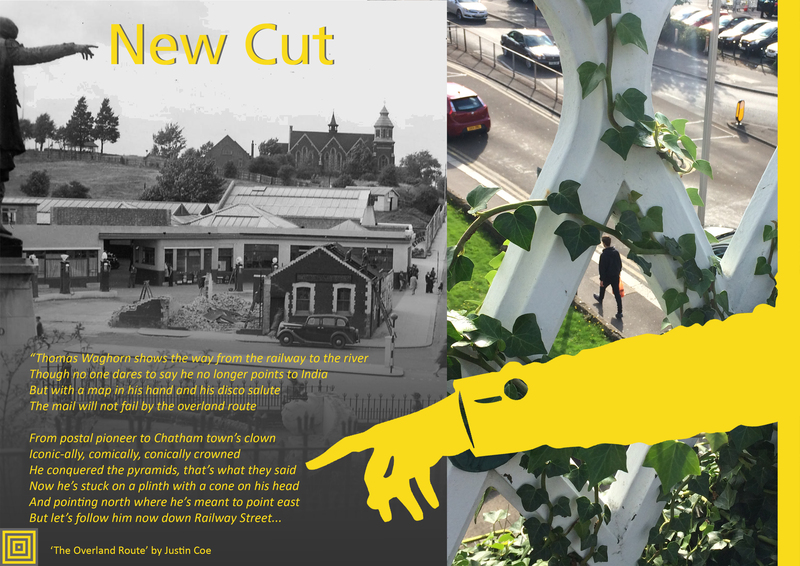 The yellow cover was the first logo and layout we created…the inspiration for this as well as the overall style and approach to the magazine concept came from looking at archive print magazines and periodicals at the Medway Archives and Local Studies Centre in Strood. 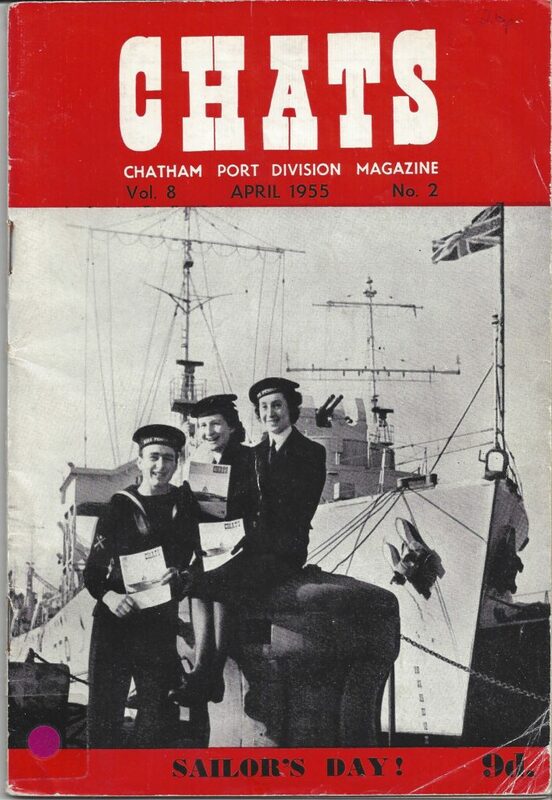 We were drawn to copies of CHATS magazine – the Chatham Port Division Magazine from 1955. 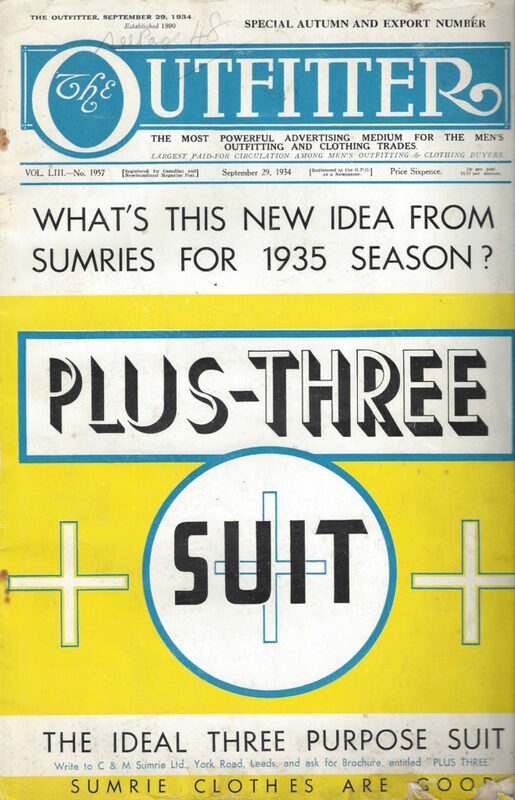 The A5 size and very distinctive 1950’s advertising inside were just what we were looking for. 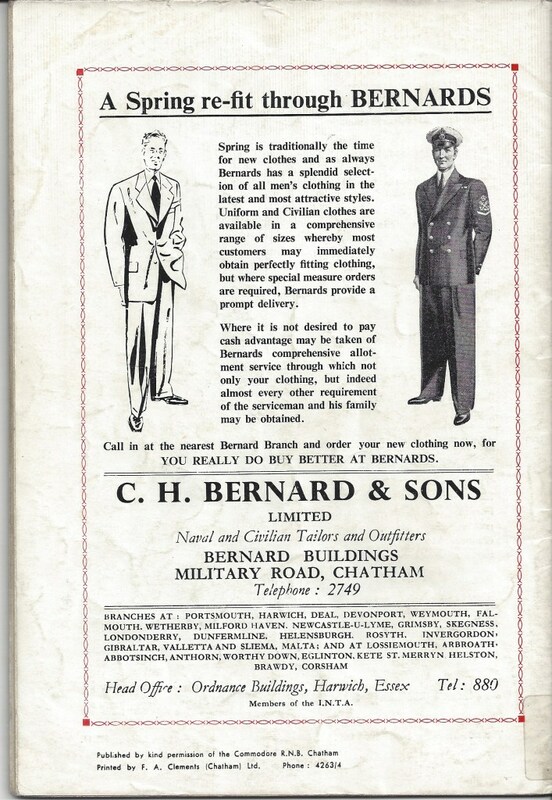 “Over a century of experience in expert tailoring of both naval and civilian outfits”. 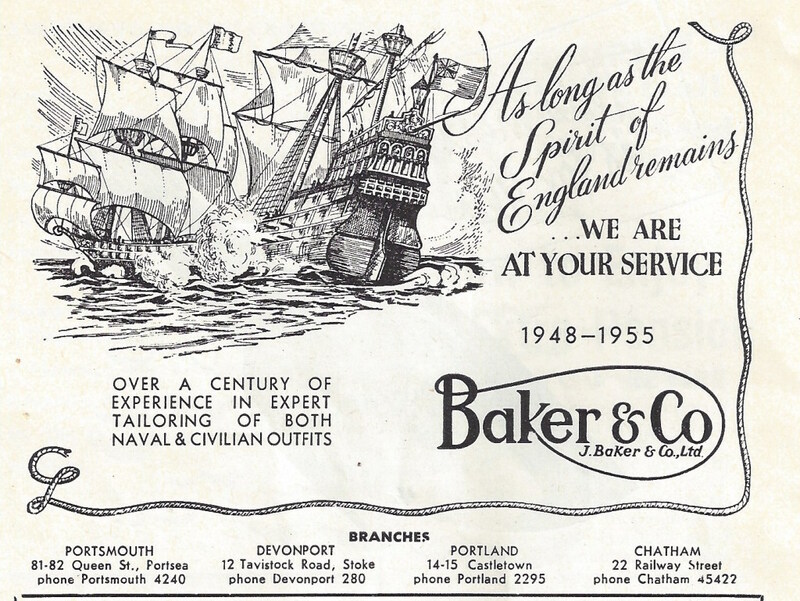 Baker & Co – 22 Railway Street – “As long as the Spirit of England Remains, we are at your service”. 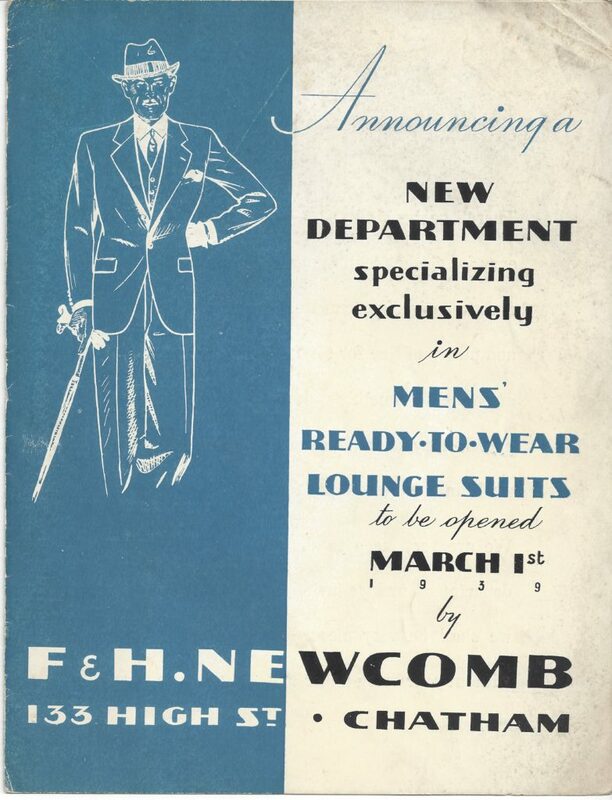 The other clear inspiration for me was the archive of Newcomb’s the tailors. They opened for business in 1854. 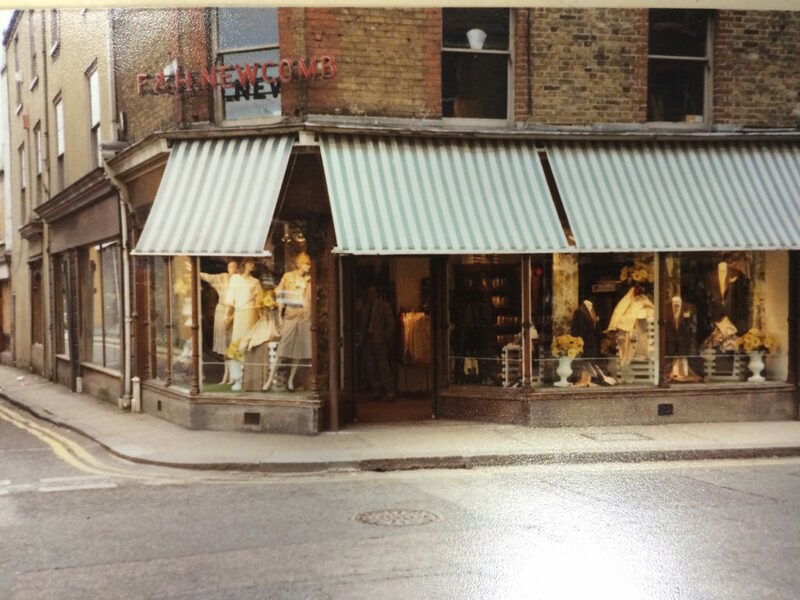 After the original shop was demolished when the Sir John Hawkins flyover was built, the business moved along the High Street to the corner of Medway Street. Mr Gerald Newcomb is still trading as Penguins Dress Hire. Gerald is the 7th generation to run the firm and has himself been in the industry for 45 years. 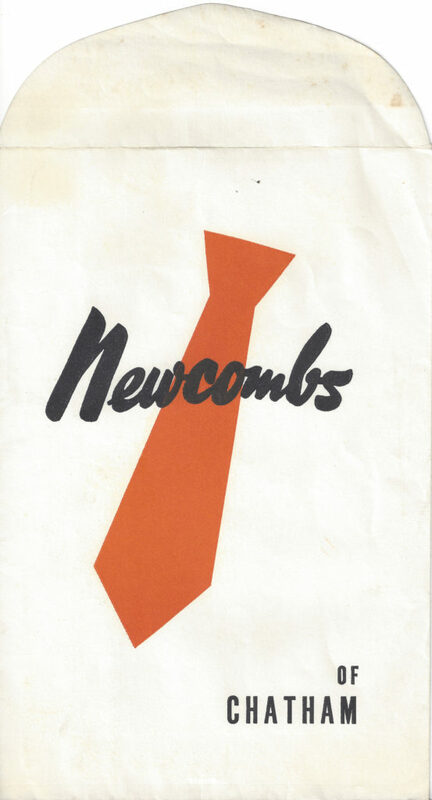 Click on this link for an earlier post I made about Newcomb’s. Gerald gave me open access to their archives, which were amazing to see and includes the famous, Newcomb’s War Diary, surely a document of national significance. 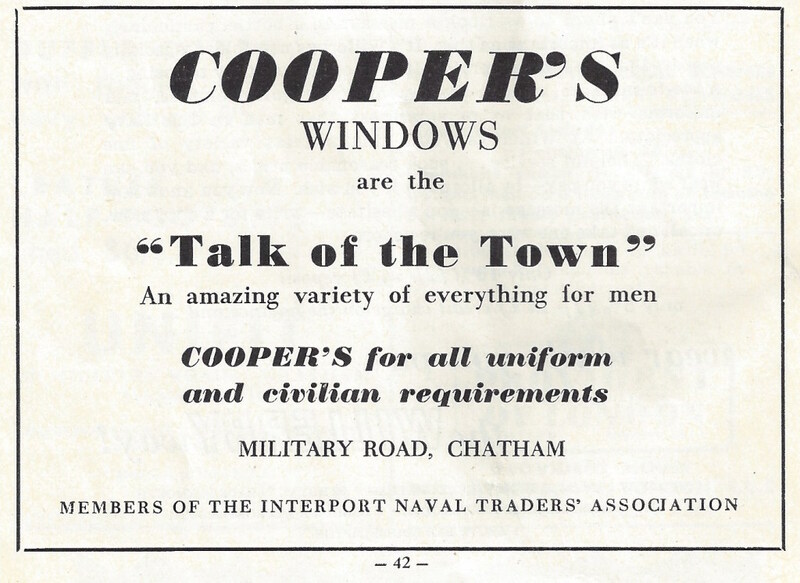 This historic business fits into our Chatham Placemaking Project primarily because of its strong association with our route and the long association with style, craft and a strong sense of local community – Newcomb’s also had a Ladies Clothes Shop on Railway Street – the advertising for the business and associated images from their archives was inspirational. Draft Magazine – Pages 14 & 15 V1 : THESE ARE OUR STREETS. Image: Christopher Tipping. 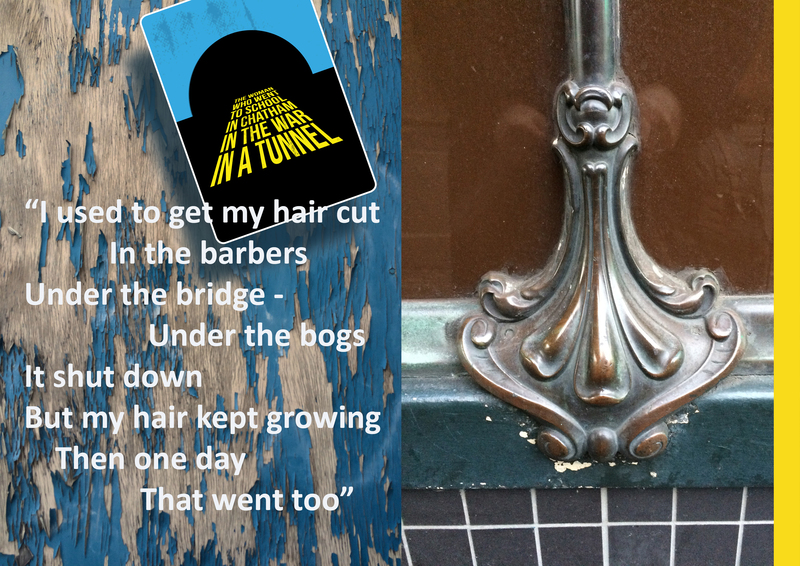 We love Thomas Waghorn…we also appointed a performance Poet, Justin Coe, to come up with a suitably witty and succinct take on our journey down Railway Street to the River, which he performed in the street in a lively film by Simon Williams. 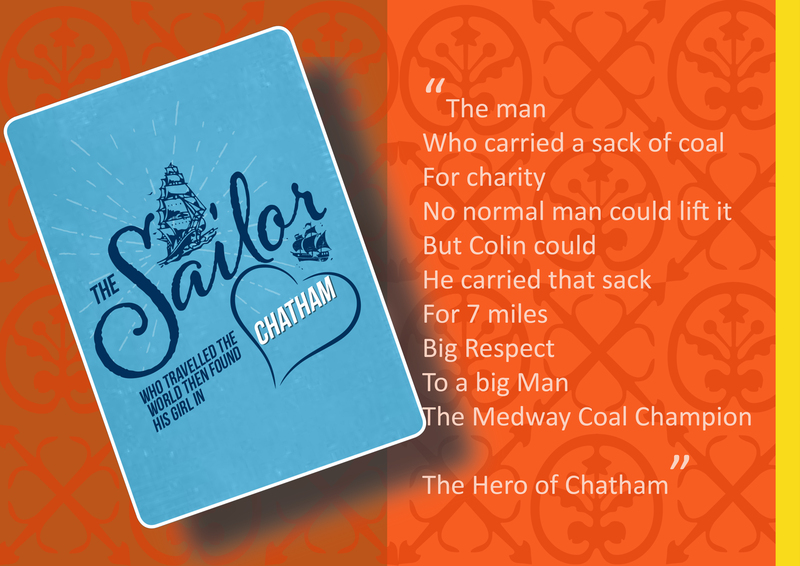 Click here for a link to the film. “The Overland Route c/o Thomas Waghorn’. Draft Magazine – Page 15 Option V1 : THESE ARE OUR STREETS. Image: Christopher Tipping. 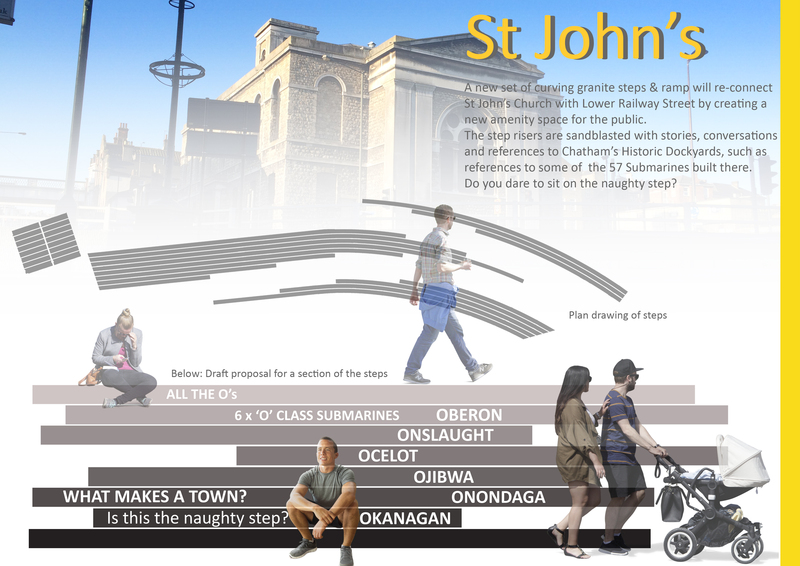 Draft Magazine – Page 15 Option V2 : THESE ARE OUR STREETS. Image: Christopher Tipping. Draft Magazine – Pages 16 & 17 V1 : THESE ARE OUR STREETS. Image: Christopher Tipping. Draft Magazine – Pages 20 & 21 V1 : THESE ARE OUR STREETS. Image: Christopher Tipping. 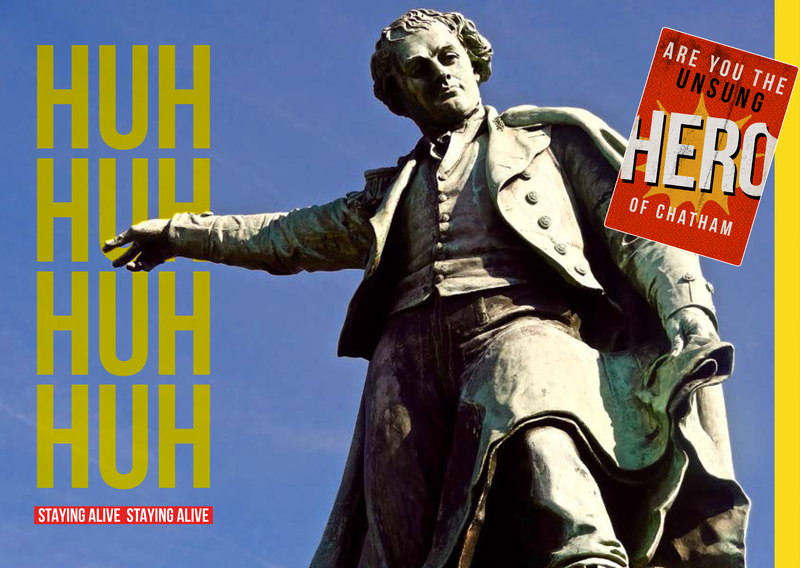 Draft Magazine – Pages 22 & 23 V1 : THESE ARE OUR STREETS. Image: Christopher Tipping.